As a champion for community social services, we keep our finger on the pulse and make sure our members are informed and engaged in the sector. In order to create healthy and vibrant communities, our members rely on The Federation to monitor and report out on the state of the sector, the progress of important initiatives, and the issues and policies that affect our work. In 2015, The Federation scoured the literature and research to take a snapshot of Life in BC that captured some aspects of the economy that traditionally get overlooked. 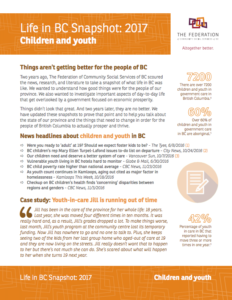 We wanted to understand how good things were for the people of our province and we wanted to identify some markers to determine how good life in BC really is and whether things are getting better or worse in our communities. In 2015, things didn’t look that great. And two years later, they are no better. In early 2017, we took the time to update and expand the snapshot series to prove that point and to help you talk about the state of social care in our province. We need to get the word out about the things that need to change in order for the people of British Columbia to actually prosper and thrive. This updated series of fact sheets was expanded to include additional topic areas. Each PDF includes news headlines, a case study, key messages, talking points, key facts, figures, and statistics (and links to the sources referenced). The original snapshot series looked at five key areas affecting those in our sector. We wanted to paint a picture of what live was really like for those in BC. As it turns out, for many people, it’s a struggle. The Federation is excited to share two detailed reports on the makeup of our membership. 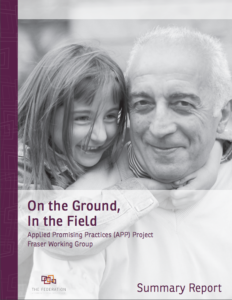 We wanted to understand—and share—the details about how our members work, the ways in which they are different from one another, what issues they struggle with, and the important ways in which they are improving the communities in which they work. The first report focuses on the health and sustainability of the community social service sector. The second focuses on the programs offered by Federation members as well as new data about demographics and the positive effect these services have on other social systems. Federation 2015 Member Survey (“member survey”) which asked questions on a wide variety of topics covering the previous year’s data. A study that was done in partnership with the University of Victoria’s School of Public Administration (“UVic survey”) commissioned specifically to compare the financial health of the sector between the 2008 and 2015 fiscal years. 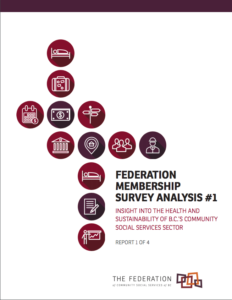 Report #1: Insight into the health and sustainability of B.C.’s community social service sector. 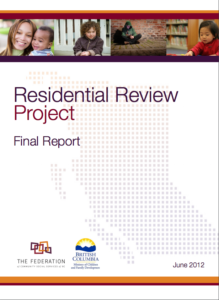 Report #2: Programs, demographics, services, and supports. Our thanks to The Federation member organizations who contributed a significant amount of their time to provide us with the valuable information collected by these two surveys. It is because of your commitment to this work that we are truly Altogether Better. 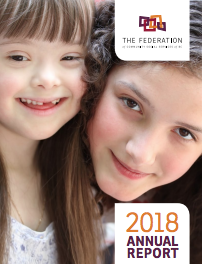 Our annual reports describe some of the activities and initiatives that The Federation of Community Social Services of BC has been involved in over the past years. If you are a member organization, we hope that you will enjoy seeing all that you are a part of. We also urge you to consider joining one of The Federation’s many working groups or maybe think about spearheading a new initiative on a topic of interest to you—we are happy to support our members in such work. If you are not a member, take the time to read over where we’ve been, where we’re going, and what we have been working on. Then consider becoming a member of The Federation or joining our network. If you have any questions about these annual reports please feel free to contact us.